With only six lots on fifty acres of land, Rocky Reach Estates offers a secluded setting to live amongst the vines on the Columbia River. Currently, eleven acres of grapes are planted on the estate with plans to plant more. The four Vineyard Lots are perched near the top of the estate resulting in sweeping views of mountains and the Columbia River below. The two Waterfront Lots are located right at the end of the paved road in the southwest corner of the estate. A 6,500 square foot production winery is planned for the site down the hill from the Vineyard Lots. The elevation of the new winery is substantially lower then lot 1 through 4 and will not impede views f the river or mountains. 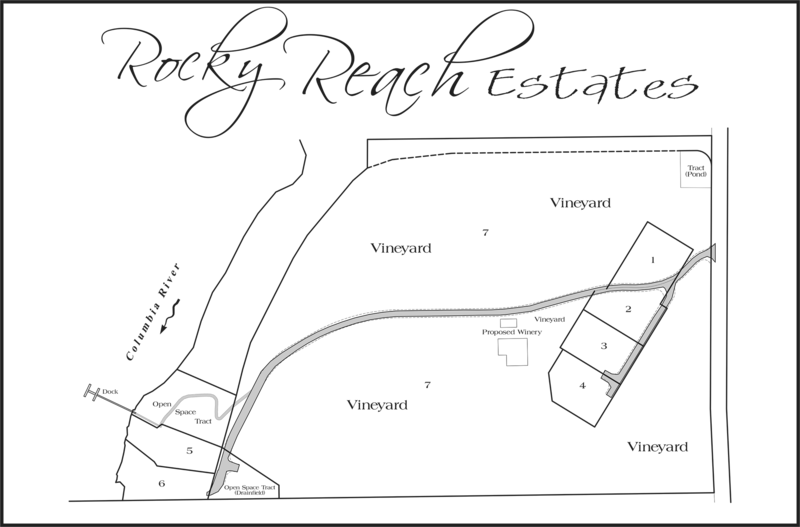 The planned winery will offer Rocky Reach Reserve Club members a facility to taste their wines in. 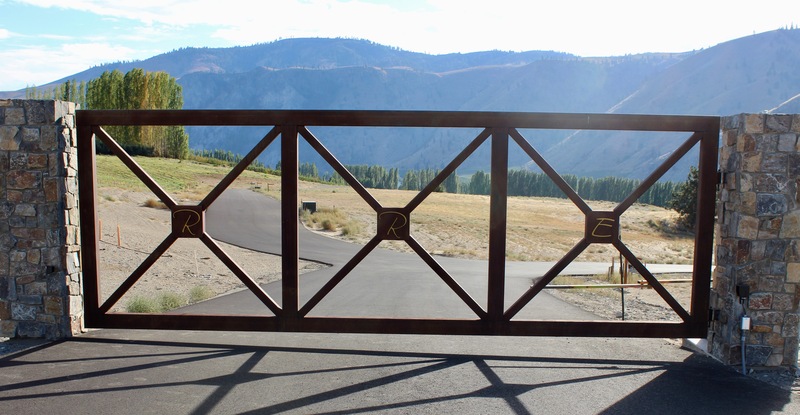 Take a Tour of the lots and vineyards and sweeping views of the mountains and the Columbia River. The video from this summer shows the 11 acres of vines that were just planted as well as the installation of the rock-line pond as we fly from the Northeast corner of the estate to the Southwest corner of the Waterfront Lots.